Item is in very good used condition. Nothing broken and all mounting points in tact. Only a few very small and typical blemishes. This item only fits 1990 & 1991 Buick front wheel drive sedan and coupe models. 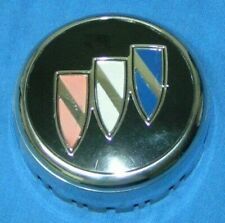 Grille emblem for 92-96 Lesabre's in good used condition. Free s hipping to U.S. This grille is in good condition. It would be excellent for a daily driver. Normal plastic aging, scuffing, etc. OEM, not reproduction. Check back once in awhile. Tilt column with key. No play in the tilt. From 1984 Caprice. 1980-1990 Buick Lesabre. 1982-1990 Caprice. 1984-1985 Lesabre. This is a decent grill from 1975 Buick Electra that I parted out a while back. It’s in good shape for the age and has all the mounting tabs with the nuts and studs on it. Be sure to check out all my auctions, thanks. This is for the station wagon models only! This is the grille only. on your vehicle. Even though NOS OEM, there is minor shelf wear not noticeable once installed. Part Number:25521269. THIS PART IS NICE AND SHINY! LKQ SKU: LKQ502 ~209611561 GRL01829. We do our best to prevent these issues from happening and apologize for any inconvenience it may cause. Buick Lesabre 2003-2005 chrm surround w/black vertical bars. 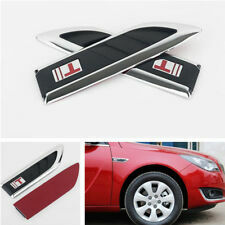 BUICK LESABRE FRONT GRILLE TRIM 00-05. FACTORY OEM ASY USED. PART HAS CRACK IN MIDDLE/MISSING MOUNT, NO PROBLEM MOUNTING TO VEHICLE. This grille kit is built entirely from SOLID T-6061 Aircraft Billet Aluminum. Basically what we're saying is every one of our billet grille kits are PROUDLY MADE IN THE USA! No modifying is required. Part No. 25625903. A genuine OEM part! Buick LeSabre. Front Grille. 2003 - 2005. 2000 - 2002. Note If you are unsure if this is correct for your vehicle. deluxe exterior trim (B57). (install w/ (9) 25768356 nuts). You are purchasing a used OEM 2001 - 2005 Buick LeSabre Grille. Trending at $60.16eBay determines this price through a machine learned model of the product's sale prices within the last 90 days. 2000 Buick LeSabre Grille With Emblem. Part is used but in good condition. 73 buick LeSabre grill. great candidate for restoration. no cracks or missing mounting tabs. no mounting hardware included. part is in unrestored original condition. For Vehicle on Title Only. Used Grille in GOOD Working Condition. Real pictures. Used original item. ) 2018-12-15. Right part. Looks great r n ( 168. v z ( 3185. ). Part number is listed in the GM parts catalog to fit Buick Lesabre and Estate Wagon 1982 1983 1984 2&4-door models. This is a super rare NOS part. NOS parts may have small imperfections or shelf wear. Partslink GM1200394. 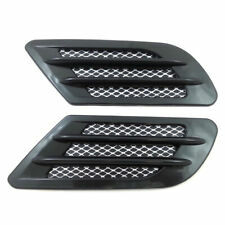 If you are looking for a high quality Grille for your 1997-1999 Buick LeSabre, then you have found the right product! Look no further for parts that stand up to the standards you expect in improving the look of your vehicle. This grille kit is built entirely from SOLID T-6061 Aircraft Billet Aluminum. Basically what we're saying is every one of our billet grille kits are PROUDLY MADE IN THE USA! Gloss Black Upper Overlay Billet Grille Upper OEM factory grille and Buick badge/emblem NOT included. No Grade - A part that has not yet been graded. C Grade - The third level quality part. B Grade - The second level quality part. It is of average miles and normal condition for its age. A Grade - The highest quality part. P/N: 25649506. BUICK LESABRE GRILLE FITS 00 01 02 03 04 05 BUICK LESABRE. OEM GRILLE. 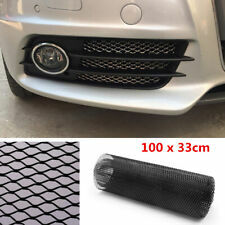 Installation position for the Front Grille,waterproof and Dustproof. It's selected High-Quality LED lamp,High Brightness, Long Life. BUICK LESABRE. PULLED FROM A 1989 BUICK LESABRE. OEM USED ORIGINAL BUICK GM PART NUMBER 25526224. EQUIPPED WITH THIS STYLE GRILL. GRILLE FRONT. AT BLUE KITTENS OEM USED AUTO PARTS We disassemble a used car discard any junk parts and salvage the good parts. This is a GM NOS NEW grill for a 1986 Buick Lesabre front wheel drive car, the grill is new never installed and excellent. 1982 - 83 BUICK LESABRE GRILL, END. DRIVER SIDE, LEFT. 1982 - 83 LeSabre Estate Wagon. 1982 - 83 LeSabre. This header panel is an OEM part NOT a cheap reproduction. Off a desert car. This is a original paint part. Has a couple of minor impressions, hard to see them. 2000-2005 OEM BUICK LESABRE FRONT RADIATOR GRILLE GRILL ASSEMBLY FREE SHIP !! !